The board supports two user buttons, a Reset button, four RGB user LEDs, an application status LED, a Wi-Fi status LED, a USB activity LED, and a power-on LED. The sample applications in the Azure Sphere SDK demonstrate the programming of the user buttons and the user LEDs. To ensure compatibility with the Microsoft samples, any development board should support these features. 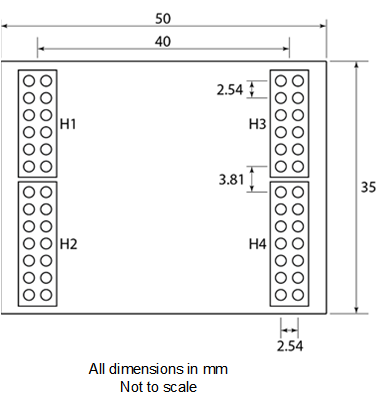 The following sections provide details of how each of these buttons and LEDs connects to the MT3620 chip. The two user buttons (A and B) are connected to the GPIO pins listed in the following table. Note that these GPIO inputs are pulled high via 4.7K resistors. Therefore, the default input state of these GPIOs is high; when a user presses a button, the GPIO input is low. The development board includes a reset button. When pressed, this button resets the MT3620 chip. It does not reset any other parts of the board. The development board includes four RGB user LEDs, labelled 1-4. The LEDs connect to MT3620 GPIOs as listed in the table. The common anode of each RGB LED is tied high; therefore, driving the corresponding GPIO low illuminates the LED. The application status LED is intended to provide feedback to the user about the current state of the application that is running on the A7. This LED is not controlled by the Azure Sphere operating system (OS); the application is responsible for driving it. The Wi-Fi status LED is intended to provide feedback to the user about the current state of the Wi-Fi connection. This LED is not controlled by the Azure Sphere OS; the application is responsible for driving it. The green USB activity LED blinks whenever data is sent or received over the USB connection. The hardware is implemented so that data sent or received over any of the four Future Technology Devices International (FTDI) channels causes the LED to blink. The USB activity LED is driven by dedicated circuitry and therefore requires no additional software support. The board includes a red power-on LED that illuminates when the board is powered by USB, an external 5V supply, or an external 3.3V supply. The development board includes four banks of interface headers, labelled H1-H4, which provide access to a variety of interface signals. The diagram shows the pin functions that are currently supported. For I2C, DATA and CLK in the diagram correspond to SDA and SCL. Pull-up I2C SCL and I2C SDA with 10K ohm resistors. The headers are arranged to allow a daughter board (also referred to as a “shield” or “hat”) to be attached to the board. The following diagram shows the dimensions of the daughter board that Microsoft has developed for internal use, along with the locations of the headers. The MT3620 board can be powered by USB, by an external 5V supply, or by both. If both sources are simultaneously connected, circuitry prevents the external 5V supply from back-powering the USB. The on-board power supply is protected against reverse-voltage and over-current. If an over-current situation occurs, the protection circuit trips and isolates the incoming 5V supply from the rest of the on-board power supply rail. Note that in this case, the over-current circuit latches in the “tripped” state until the incoming 5V power supply is turned off. That is, after the over-current circuit has tripped, it latches in the off state, regardless of whether the fault that caused the over-current situation is removed. The power source must be capable of supplying 600mA even though this much current is not requested during USB enumeration. The board draws around 225mA while running, rising to around 475mA during Wi-Fi data transfer. During boot and while associating to a wireless access point, the board may require up to 600mA for a short time (approximately 2ms). If additional loads are wired to the development board header pins, a source capable of supplying more than 600mA will be required. A CR2032 battery can be fitted to the board to power the internal real-time clock (RTC) of the MT3620 chip. Alternatively, an external battery can be connected. 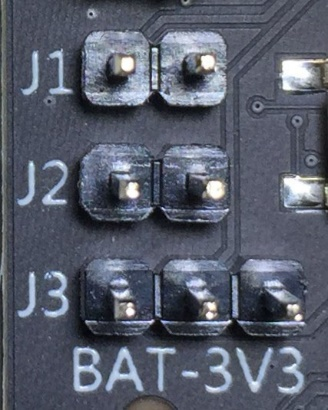 A link on J2 indicates that the on-board power supply powers the board. A link on pins 2 and 3 of J3 sets the power source for the real-time clock (RTC) to the main 3V3 power supply. Alternatively, to power the board by a coin-cell battery, link pins 1 and 2 of J3 and fit a CR2032 battery into the slot on the back of the board. The MT3620 fails to operate correctly if the RTC is not powered. The following table provides additional detail about the jumpers. J1 ADC VREF This jumper provides a way to set the ADC reference voltage. 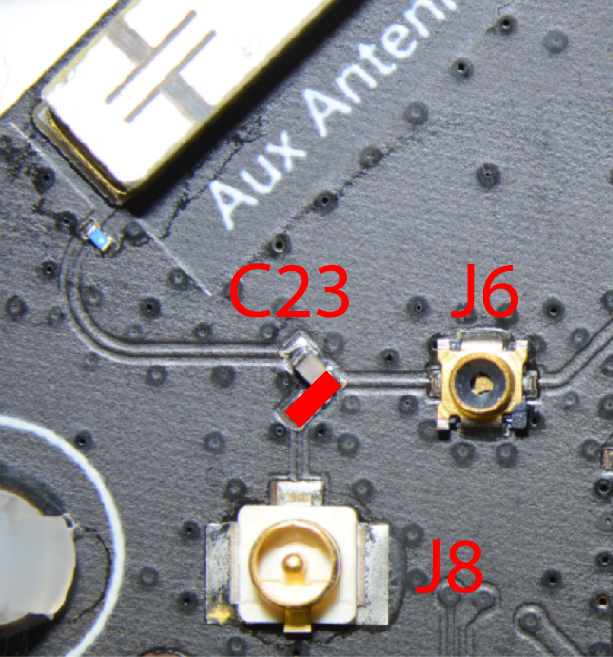 Place a link on J1 to connect the MT3620’s 2.5V output to the ADC VREF pin, so that the ADC reference voltage is 2.5V. Alternatively, connect an external 1.8V reference voltage to pin 1 of the jumper. J3 RTC Supply This jumper sets the power source for the RTC. During development, it is often convenient to power the RTC directly from the main 3V3 supply, thus avoiding the need to fit a battery. To do so, place a link between pins 2 and 3 of J3. This is normal use. Alternatively, to power the RTC from the on-board coin cell battery, place a link between pins 1 and 2 of J3. Finally, it is possible to power the RTC from an external source by applying this to pin 2 of J3. The MT3620 development board includes two dual-band chip antennas and two RF connectors for connecting external antennas or RF test equipment. One antenna is considered the ‘main’ antenna and the second is considered ‘auxiliary’. By default, the development board is configured to use the on-board main antenna; the auxiliary antenna is not currently used. To enable and use the RF connectors, you must reorient capacitors C23 and/or C89. 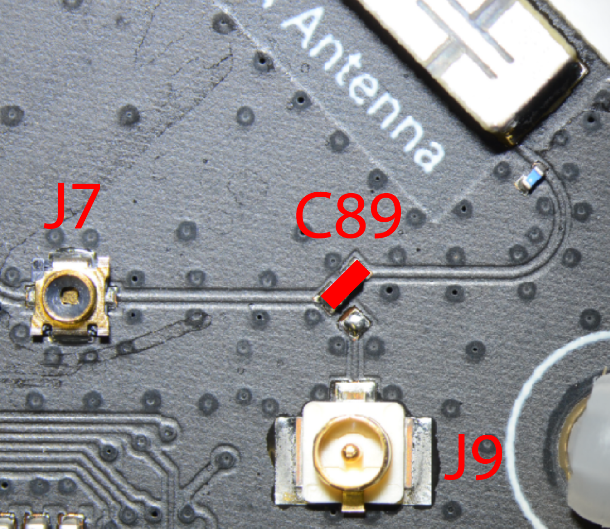 The first row in the following table shows the default configuration where the on-board chip antennas are in use, with the associated capacitor positions highlighted in red. The images on the second row show the re-oriented capacitor positions in green. Connectors J6 and J7 are used for RF testing and calibration during manufacture and are not intended for permanent connection to test equipment or external antennas. 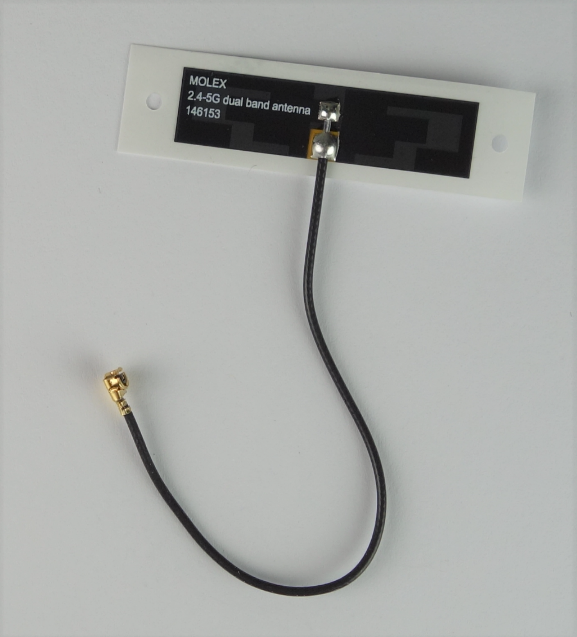 Any type of 2.4 or 5GHz external antenna with a U.FL or IPX connector can be used with the board, such as the Molex 1461530100 (pictured below). When fitting an external antenna, you are responsible for ensuring that all regulatory and certification requirements are met. 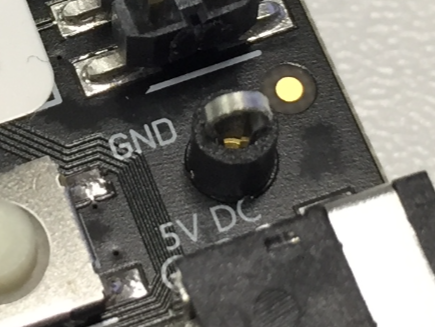 The MT3620 development board provides a ground test point on the right-hand side, next to button B and immediately above the 3.5 mm barrel socket, as shown in the image. Use this during testing—for example, for attaching the ground lead of an oscilloscope probe.